LIFETIME WARRANTY ON THIS 2016 CHEVROLET TRAVERSE LT!! THIS VERY NICE ONE OWNER 2016 CHEVY TRAVERSE COMES WITH A LIFETIME ENGINE TRANSMISSION AND FULL POWERTRAIN WARRANTY AT ZERO COST TO YOU!! Take a close look at this very clean 2016 Chevy Traverse that just arrived here at Hometown. We've just had it fully serviced here at the dealer from front to back so you're 100% ready for the road. This Traverse drives and handles wonderfully and with 3rd row seating you've got room for the whole family. Nicely equipped with 2nd Row Seating all power tilt, cruise, keyless remote, OnStar, automatic, 3rd row seating, V6 and much much more. Looking at the interior you can see that the previous owner took excellent care of this vehicle and as you can see the exterior is as smooth as glass. Make the short drive to Hometown and see this Traverse for yourself. You will be impressed. We offer bank and credit union financing here at the dealership, so you can drive this SUV home today. 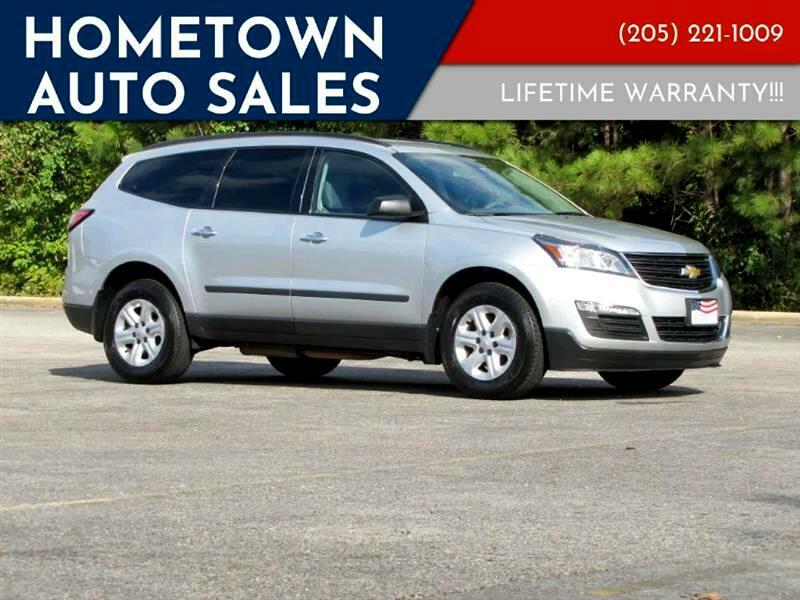 Also, for that added peace of mind that you will only find right here at Hometown Auto Sales remember this: THIS SUPER CLEAN ONE OWNER 2016 CHEVY TRAVERSE COMES WITH A LIFETIME ENGINE AND TRANSMISSION WARRANTY AT ZERO COST TO YOU!! NOT A 30 60 OR 90 DAY WARRANTY...... A LIFETIME!! Call Roger at 205 522 8345 or Matt at 205 269 1297. You can reach the office at 205 221 1009. Thanks! !